Spaghetti is one of those good old standby’s that almost everybody likes and that’s super easy to make. 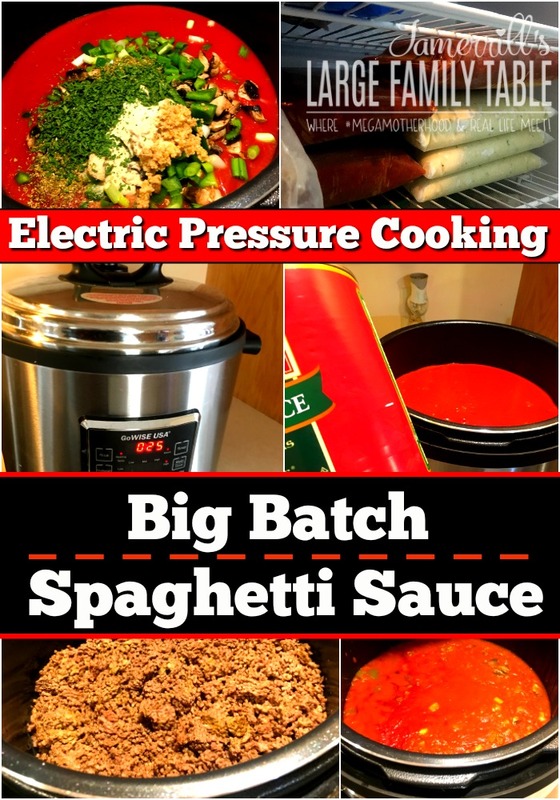 I think you’ll enjoy this electric pressure cooking big batch spaghetti sauce. I really like having it over spaghetti squash, too! I don’t mind making up pots of spaghetti sauce as we need them, but when I cook huge amounts of ground beef in my electric pressure cookers, I figure I might as well go the next step and make that meat into the form I want it to take, whether that’s spaghetti, beef stroganoff, hamburger soup, or sloppy joes. Making a big batch of this electric pressure cooker spaghetti sauce is usually a quick job for me but on this day I made a slight error in judgment. I forgot to assign an older, muscular young man to do all the veggie-chopping for me earlier in the day. So there I was, chopping a whole bunch of veggies when I could have been whittling down my freezer-cooking list. Oh, well. We learn our lessons and live to tell about them. 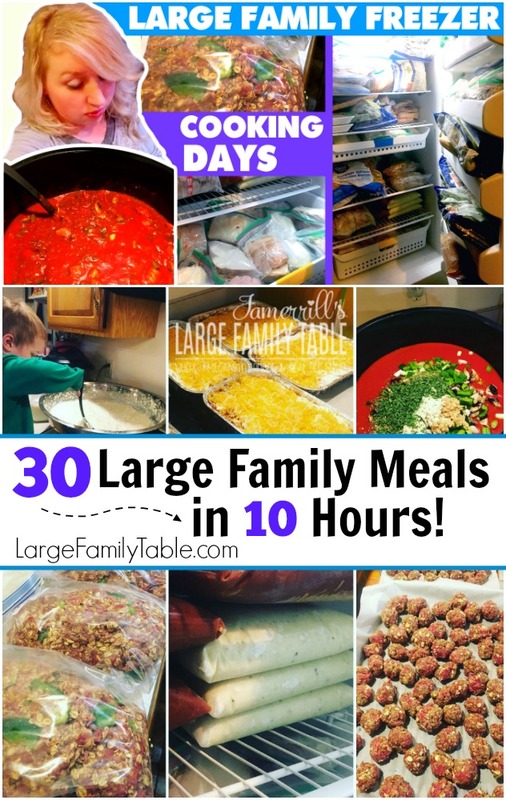 : ) That put me about 30 minutes behind where I wanted to be on this freezer cooking day. It’s all good though and I kept right on plugging along once I got them chopped. A huge batch of spaghetti sauce ready for you to use in whatever recipes you have! I love to also put this homemade spaghetti sauce over spaghetti squash! Place all ingredients in electric pressure cooker and set on HIGH for 15 minutes using the manual setting. I used my 14 Quart GoWise Electric Pressure Cooker for this mega-sized batch.